More funny children stories by noted Spanish author Pedro Pablo Sacristan, translated into English, in themes kids love! 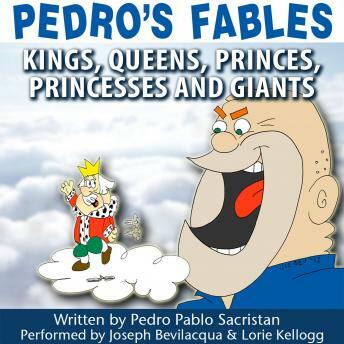 Perfect for bedtime, car rides, or anywhere you go, Pedro's Fables: Kings, Queens, Princes, Princesses, and Giants is both entertaining and educational. Produced with full music and sound effects, this delightful tale is sure to charm the entire family.